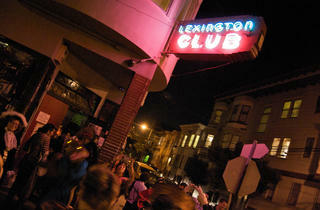 Billing itself as “your friendly neighborhood dyke bar,” the Lex is the typical corner dive bar—a box-shaped room with a jukebox in the corner, grafitti-covered bathrooms and lipstick-red walls. 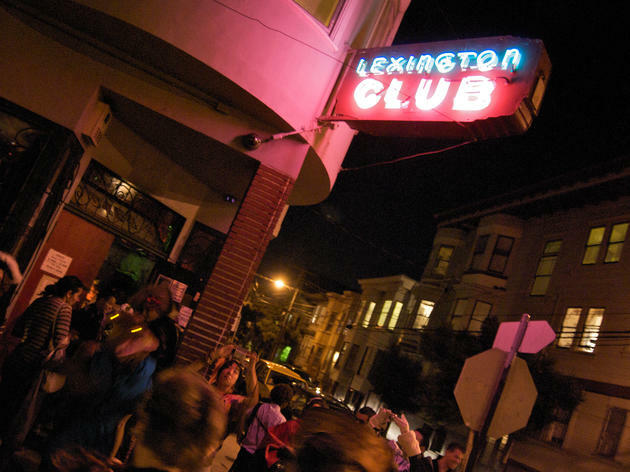 Two ironically placed faux-crystal chandeliers hang above the bar, where tough-gal bartenders in plaid shirts pull pints and mix strong drinks to an appreciative crowd that skews butch. Votive candles flicker atop a clutch of café tables, ideal for a makeout session with your new best girlfriend. There's a nightly happy hour from 5pm to 7pm, and on Mondays $1 PBR and free pool all day. Cash only.